Our 1.5 million square-foot Wichita, Kansas facility opened its new factory in March of 2002, and its new warehouse in May of 2002. 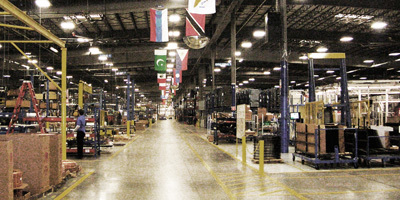 The Wichita facility handles manufacturing of all residential air conditioners, heat pumps, and gas furnaces. Accelerated life testing in this state-of-the-art facility ensures that each product performs with the efficiency and durability you’ve come to expect from the Evcon™ name.